Together Duke, the university’s 2017 strategic plan, includes a goal to provide a transformative educational experience for all students and sets forth increased opportunities for graduate and professional school students to prepare for a wide array of career options. Duke’s Graduate Student Training Enhancement Grants (GSTEG) program supports doctoral and master’s students to stretch beyond their core disciplinary training and deepen preparation for academic positions and other career trajectories. Through this internal funding mechanism, students are encouraged to propose an experience that would enhance or expand their training (e.g., an internship, training workshop, or hands-on learning opportunity not available within their program or at Duke). Proposals require endorsement from the student’s primary faculty mentor, and a clear explanation of how the experience will broaden the applicant’s intellectual perspective and potentially impact his or her dissertation research or capstone project. The proposed experience may last for up to one full semester; most take place during the summer. All current graduate students (including master’s, professional, and Ph.D. students) in any program at Duke University are eligible to apply. All internships, work, and services proposed must be performed outside of Duke (i.e., may not be work for Duke). This grant program began in 2016-2017; for information about the first cohort, please see the 2016-2017 GSTEG report. For the 2017-2018 academic year, a January 2017 RFP invited all current Duke graduate students to propose training enhancement activities lasting up to one semester. We received 58 proposals, which were reviewed by an ad hoc committee convened by the Vice Provost for Interdisciplinary Studies with representation from faculty, institute directors, and graduate students, representing all divisions of knowledge. Among the applicants, there were 47 Ph.D. students, 9 master’s students, 1 M.D. student, and 1 Th.D. student. Together they represented Arts & Sciences (29 students), Nicholas School of the Environment (10), Sanford School of Public Policy (4), and School of Nursing (4) as well as the Divinity School, School of Medicine, and Pratt School of Engineering (1 each); the remaining 8 applicants came from various interdisciplinary graduate programs. Eighteen students received 2017-2018 GSTEG grants. The majority (15) were Ph.D. students, with 2 master’s students and 1 Th.D. student. They came from Arts & Sciences (7), Nicholas (5), and Divinity, Medicine, Nursing, Pratt, and Sanford (1 each); 1 student was in the Global Health master’s program based in the Duke Global Health Institute. The average award was $2,225. 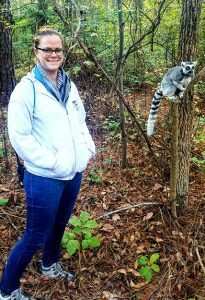 Sally Bornbusch spent a summer with the Genomics & Microbiology Research Lab at the North Carolina Museum of Natural Sciences learning how to assess antibiotic resistance in bacterial microbiomes of non-human primates such as lemurs. This experience will inform her dissertation on the relationship between primate gut microbiomes and host health. I learned laboratory skills (e.g., qPCR) necessary to assess the presence of 86 known antibiotic resistance genes in the gut and armpit microbiomes of multiple lemur species. I was also able to spend a portion of the summer collecting lemur microbiome samples both from lemurs at the Duke Lemur Center and, with the help of collaborators, from wild lemurs in Madagascar. With my newly acquired analysis skills, I will be able to characterize antibiotic resistance in these invaluable samples, a novel research project that greatly enhances my dissertation research. Amelia Meier researches forest elephants in Gabon. She set out to learn how to conduct genetic analysis to help identify individual elephants, which will inform her dissertation. I was able to receive one-on-one training in genetic analysis at the Institute for Research in Tropical Ecology in Gabon. Over 14 days I worked directly with the scientist who developed the Single Nucleotide Polymorphism (SNP) panel necessary to identify individual elephants from their dung. After learning the theory behind SNP genotyping, I was trained on how to use and interpret results from DNA sequencing equipment such as a Real-time Polymerase Chain Reaction (PCR) machine. These skills are critical to my dissertation. How can marine protected areas be used to reduce habitat degradation and biodiversity loss? Seth Sykora-Bodie took part in the Hawaiian Islands Cetacean and Ecosystem Assessment Survey to inform his dissertation on Antarctic resource management and conservation. I applied for GSTEG to participate in a large-scale marine mammal survey being conducted by the National Oceanic and Atmospheric Administration’s National Marine Fishery Service to gain experience in collecting the data that underlies federal conservation and management decisions. I learned more about survey design and methods, marine mammals acoustics, and even seabird identification. It was one of the most memorable experiences of my life and significantly improved my understanding of the data, and how it is collected, that underpins much of the work of my dissertation. 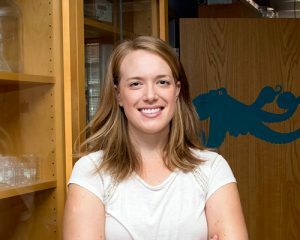 Kate Thomas conducted research at the Monterey Bay Aquarium Research Institute, drawing on its database of millions of deep-sea animal sightings, to inform her work on vision and bioluminescence in deep-sea cephalopods. She will be a postdoctoral fellow at the Natural History Museum in London. I spent two months using physical oceanographic data collected at sea to model light levels in the deep ocean and test how these correlate to patterns of animal distributions. This project expanded the scope of my scientific training and how I think about my future research goals. 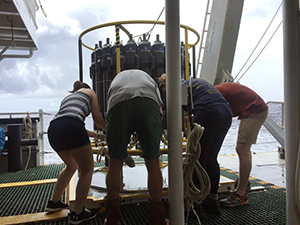 In addition, it has turned into an ongoing collaboration across three institutions and a long-term effort to understand the variability of midwater light fields and their effects on deep-sea communities. Anna Wade attended the University of Utah’s two-week IsoCamp, which trains Ph.D. students and postdocs how to use stable isotopes to model environmental and ecological processes, to enhance her dissertation research on lead (Pb) in southeastern forest soils. 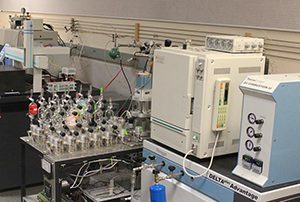 [I learned] how to use a ThermoElectron isotope ratio mass spectrometer, how to collect and prepare environmental samples, and how to use isotope-mixing models to interpret the results. Because of this training experience, I’ll have a much better grasp of how to use stable isotopes of Pb to delineate between natural and contaminant sources of lead. The tools and connections will provide solid groundwork for my isotopic research. Jillian Wisse studies a species of pilot whale that dives especially deep. 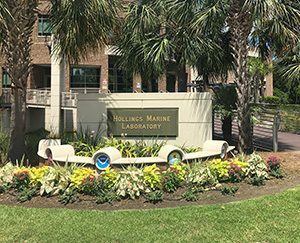 To learn more about how they relate to their environment, she sought specialized training at the National Institute of Standards and Technology’s Hollings Marine Laboratory in Charleston. I worked with a leading endocrine researcher to learn hormone extraction and tandem mass spectrometry. With her guidance, I developed a novel analysis method, which will allow scientists to conduct more efficient and comprehensive hormone analyses of these tissue samples, aiding efforts to understand the behavior and physiology of these difficult-to-access animals. 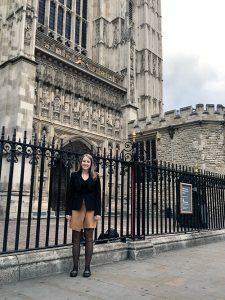 To enhance her dissertation on mental and reproductive health among adolescent girls in Tanzania, Emily Cherenack volunteered with a nonprofit and received specialized training on biological markers. 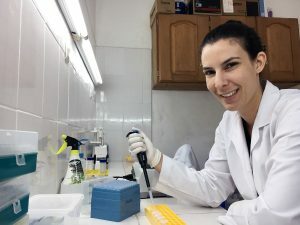 For half the summer, I worked with Dr. Adam Carrico at the University of Miami to learn how to use biological markers in research with HIV-positive women. For the other half, I lived in Moshi, Tanzania, and worked with the NGO Femme International. I learned how to conduct research on menstruation with adolescent girls in schools and saw how to implement education interventions with girls. GSTEG was essential for me to gain these experiences and work with experts and in the field to develop an interdisciplinary dissertation that merges the fields of clinical psychology and reproductive health. Mercy DeMenno completed a three-month research residency at the Organisation for Economic Co-Operation and Development (OECD) in Paris, where she worked with the Directorate for Public Governance in the Regulatory Policy Division. I undertook a wonderful experiential learning and collaborative research experience in 2017, which enabled me to contribute to the theory and practice of effective regulatory governance. The Regulatory Policy Division’s portfolio covers a range of regulatory governance issues, and the Division has developed key competencies in several areas germane to my dissertation research—including stakeholder participation in rulemaking, regulatory impact assessment, and international regulatory co-operation—making it an ideal place to work at the intersection of the theory and practice of effective regulatory governance as a doctoral student. The GSTEG experience contributed to my envisaged academic and professional trajectory by improving my research, leadership, and communication skills; enhancing the quality and impact of my dissertation; and embedding me in a network of critical importance to my post-degree job search. Ships fill and empty their ballast tanks as needed for stability. Whenever ballast water is taken on or discharged, aquatic plants and animals go along for the ride, which increases the risk of introducing invasive species. 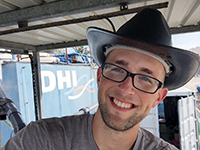 William Gerhard spent a month in Singapore for an internship with the Danish Hydraulic Institute (DHI), where he learned how to incorporate antibiotic resistance genes and pathogens into a global ballast water movement model. This company specializes in creating modeling software for hydrologic systems. In addition, DHI operates the only tropical ballast water testing facility in the world. My dissertation focuses on the microbial community of ballast water in large ships, so their expertise in ballast water and modeling proved especially informative to my ongoing work. 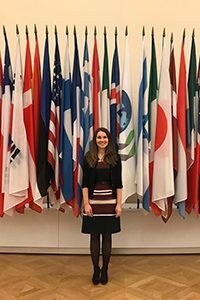 The unique opportunity afforded by GSTEG allowed me to explore a potential future career path while also expanding comfort zones within my dissertation research. 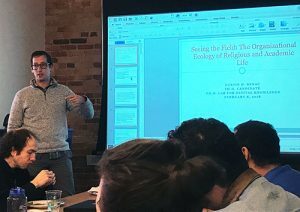 Dustin Benac wanted to enhance his training in theology and organizational theory by integrating qualitative data collection and interpretation into his research. A summer course at UNC’s Odum Institute for Research in Social Science proved timely, and he went on to apply this new knowledge to a study examining patterns of connection among five church-related educational institutions in the Pacific Northwest. The impact extends well beyond this single course. I have since worked with colleagues from across the university to consider approaches to visually depict the preliminary findings from my qualitative research. I will present a paper at the Pacific Northwest American Academy of Religion Annual Meeting and have a book review coming out in the Journal of Interdisciplinary Studies. The opportunity to receive supplemental training has deepened my knowledge, vastly expanded my network, and equipped me to engage and support a wider range of research from across the university. While the specific methods training and research experiences will certainly inform the scope and content of my dissertation, I anticipate the range of relationships and experiences that have followed will have the most significant impact on my development as a scholar. Lok Chan is writing a dissertation on learning and testing through the lenses of philosophy and statistics. To develop the skills he needed to produce a web-based application for logic education, he enrolled in Udacity’s Machine Learning Nanodegree Program. What I learned has had a tremendous impact on both my interest as a researcher and as an educator. This program provides practice-oriented training in various machine learning techniques, such as supervised learning, reinforcement learning, and convolutional neural networks. 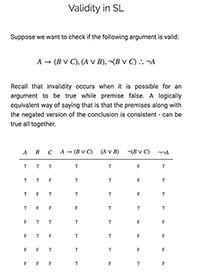 Using these techniques, I have made substantial improvement to the logic education application I have previously developed. Initially, my application could only generate logic problems in a purely random manner. With machine learning techniques, however, I have devised a model in which a student’s response could be used as a basis for generating a problem that addresses her particular strengths and weaknesses. What can a fin whale’s feeding apparatus tell us about that animal? William Cioffi took a summer course on stable isotope ecology to support his dissertation on using baleen from fin whales to reconstruct individual life histories and assess changes in foraging ecology, reproduction, and stress. Baleen whales are named for the keratin plates that comprise their feeding apparatus. These plates grow continuously throughout an animal’s life. By repeatedly sampling for stable isotope analysis along the growth axis of an individual plate, a time series can be generated that provides information about foraging and migratory behavior that might have been occurring when that part of the plate was growing. 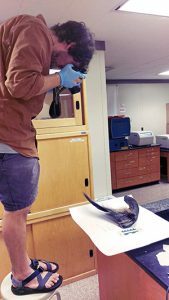 These data provide a window into the past for populations that may no longer exist, but for which baleen plates have been archived in museums or other collections. Most exciting about this course was the opportunity to discuss ideas and challenges with other students and instructors who had all spent a great deal of time thinking about these issues. The participants included those studying vertebrates, geology, botany, and even forensic science. 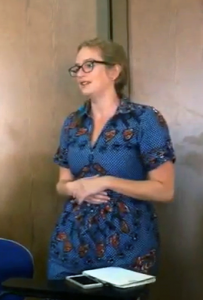 Sophie Galson has been collaborating on a research project on hypertension in the emergency department of Kilimanjaro Christian Medical Center in Moshi, Tanzania. 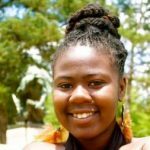 To build her language skills and strengthen her contribution to this ongoing work, she enrolled in a residential immersive Swahili course at The Training Centre for Development Cooperation in Eastern and Southern Africa (TCDC). I have greatly enjoyed learning the language and culture, and the weekly tutoring sessions have helped greatly to accelerate this progress. The TCDC course was a perfect capstone experience and I was able to start at an intermediate level due to the tutoring. This grant has also had effects beyond myself. Our team has been motivated by my experience to slowly start to incorporate more Swahili into our weekly meetings. I am thrilled to be staying at Duke and will be starting this summer as an assistant professor in the Department of Surgery, Division of Emergency Medicine! 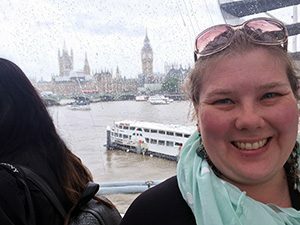 To inform her work on social interaction among individuals with type-2 diabetes who engage with one another in a computer-mediated environment, Allison Lewinski took part in a week-long course at the University College London Centre for Behaviour Change. This course expanded my knowledge about all the components to consider when designing behavior change interventions! I obtained insight into what behaviors to select and target in an intervention and what factors to consider when developing an intervention. I interacted with individuals from a variety of backgrounds who were also interested in developing interventions focused on changing behaviors. Overall, this course better prepared me for the postdoctoral position I recently started in health services research at the Durham Center for Health Services Research in Primary Care at the Durham Veterans Affairs Medical Center. 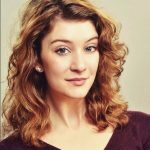 In preparation for a career as a specialized art consultant or investment analyst, Stephanie Manning took a summer course at Sotheby’s Institute of Art in London to deepen her understanding of the art market industry. This experience has forever changed the way I view art. I have always considered the intrinsic value when viewing art, and now I push deeper into my thoughts on the financial value of the work to consider how much others would be willing to pay for it, and the value I place on the emotional response I gather from the work. Through this experience, I was able to better understand the valuation and appraisal of art and the cultural heritage of Sotheby’s art auctions. Being able to personally interact with gallery curators and to visit some of the most prestigious and historic museums in London allowed me to experience how art professionals interact with the art they showcase and preserve, and how intertwined and complex the cultural and financial values are in the art of appraisal. Bria Moore enriched her training by attending a course on radiation emergency medicine at Oak Ridge Associated Universities. Learning about the practical aspects of handling contaminated patients in a hospital setting will improve her ability to communicate effectively with medical professionals in emergency situations. This experience was invaluable. The opportunity to work hand in hand with experienced emergency medicine physicians, nurse practitioners, and general physicians in an emergency room setup was amazing. As one of only two physicists in the room, I enjoyed the chance to determine my niche in patient care for radiological events. I left Oak Ridge with a new confidence in my abilities to meld well in an emergency room, and a broad network of friends and colleagues in a variety of medical fields that I hope will be valuable resources later in my career. 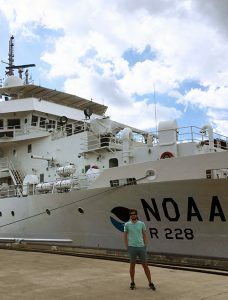 Ryan Peabody sought to learn more about modern observational oceanography to support his research on the linkage between large-scale ocean circulation and ocean productivity. A hands-on course at the Bermuda Institute of Ocean Sciences provided a vital supplement to his graduate training. I had the opportunity to learn about the capabilities of modern ocean observing platforms and to gain practical experience working with them in the field. It was a great chance to meet other oceanographers and oceanography students, and learn more about the field methods being developed in the field. Kirsten Overdahl’s work explores the occurrences and biological effects of emerging environmental contaminants in indoor environments. 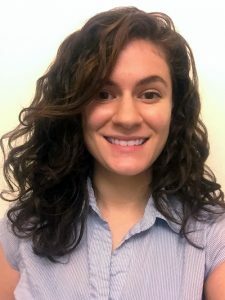 To further her dissertation research, she sought to purchase software to implement machine learning-based molecular modeling to predict chemical behaviors. I spent Fall 2017 in the Molecular Modeling Lab in the Eshelman School of Pharmacy at UNC-Chapel Hill three times per week, training on the modeling techniques that we have since begun to implement in our laboratory. We spent Spring 2018 exploring how we could successfully implement public-domain programs; while we can do many things with these programs, we elected to purchase Schrodinger’s Materials Science Suite. This program will allow us to generate all possible 3-dimensional conformers of the 2-dimensional molecular structures we are able to identify in our search for emerging environmental contaminants. A January 2018 RFP invited all current Duke graduate students (including master’s, professional, and Ph.D. students) to propose graduate training enhancement activities lasting up to one semester. We received 36 proposals for the third GSTEG cohort. Proposals were reviewed by a panel of faculty and graduate students from across the university. 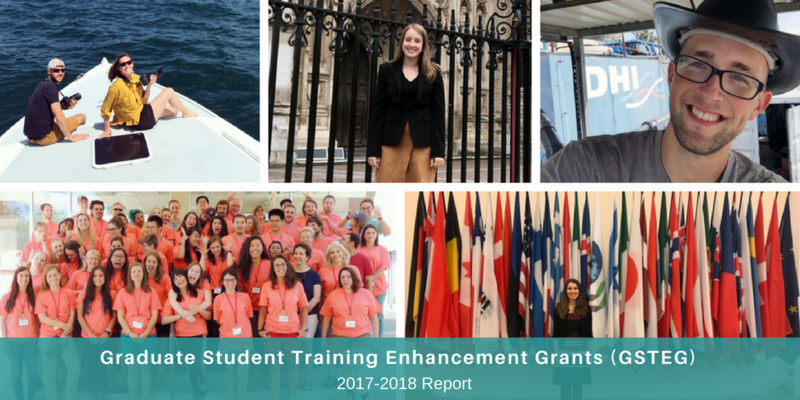 Fourteen students received GSTEG grants for use in 2018-2019. Their graduate programs are housed in Arts & Sciences (7 students), Nicholas School of the Environment (4), School of Law (1), School of Nursing (1), and Pratt School of Engineering (1). Thirteen are Ph.D. students; one student is pursuing her S.J.D. The average award was $3,254. Recipients will report on their activities by June 30, 2019. The next RFP will be released in early 2019. All current Duke graduate students may propose graduate training enhancement activities lasting up to one semester, for use during the 2019-2020 academic year. If you have any questions, please contact the Office of the Vice Provost for Interdisciplinary Studies (216 Allen Building, 919-684-1964, interdisciplinary@duke.edu).